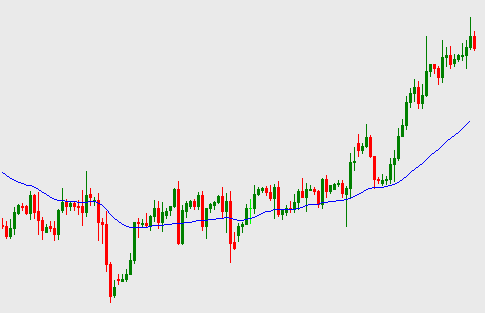 Chande's Varification Index Dynamic Average(VIDYA) is a technical indicator similar to the Moving Average indicator. 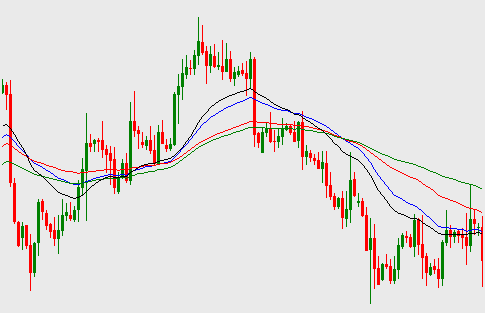 This indicator is developed by Tushar Chande. Trading with this technical indicator is similar to the trading with Moving Average technical indicator. Read this post to know the technique of trading forex with VIDYA technical indicator. This indicator is classified as trend technical indicator. The most common technique of trading forex with VIDYA technical indicator is drawing a single VIDYA technical indicator on the price chart. I generally prefer 50 period VIDYA technical indicator. Any other period can be chosen depending on the trading strategy and term of the technical analysis. Generally, when the price moves above the VIDYA, it is considered as a buy signal or bullish trend, and when the price moves below the VIDYA, it is considered as a sell signal or bearish trend. Another technique of trading forex with this indicator is using more than one indicator on the price chart. Here the difference between the drawn VIDYA's is period. Here in the above image, we have 4 VIDYA's with different period, black one is VIDYA(25), blue one is VIDYA(50), red one is VIDYA(100) and green one is VIDYA(200). When the price moves below a VIDYA, it will be considered as the resistance for future trend. When the price moves above a VIDYA, it will be considered as the support for future trend. As in the image at the top, when the price moves below or above a VIDYA, it indicates bearish and bullish trend respectively. If the above key points are applied successfully, this indicator can be very helpful to the traders. But most of the traders consider moving average more relaiable than VIDYA technical indicator. Dear Traders, I think these are the basic techniques of trading forex with VIDYA technical analysis indicator. If you have any other technical analysis technique with this indicator, you can drop a comment below. You can mention me @albab347 on twitter to ask any forex trading related question.